We feature recent and backlist fiction, children’s books, travel, history, drama, cookbooks, art and fashion books, and other subjects. We carry a great selection of remainders, and discount our hardcovers and Moleskine journals and planners at 20% off. 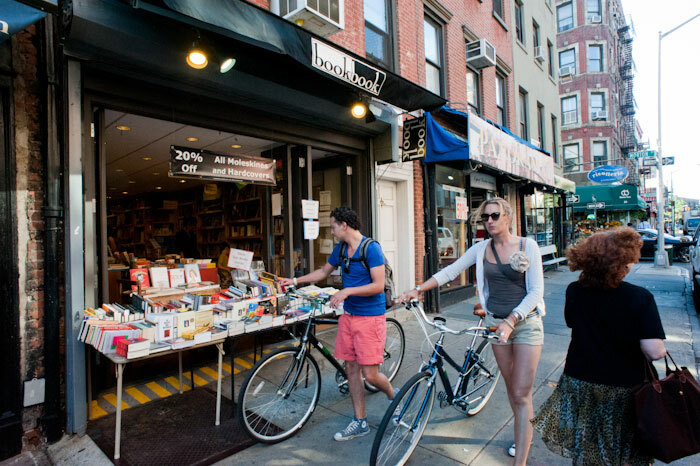 Our original store Biography Bookshop was located at the corner of Bleecker of 11th Streets from 1984-2010. Upon our move to 266 Bleecker Street we changed our name to bookbook. We pride ourselves on customer service with a knowledgeable and friendly staff, providing special orders on some of those hard-to-find titles, gift wrapping, and shipping services.